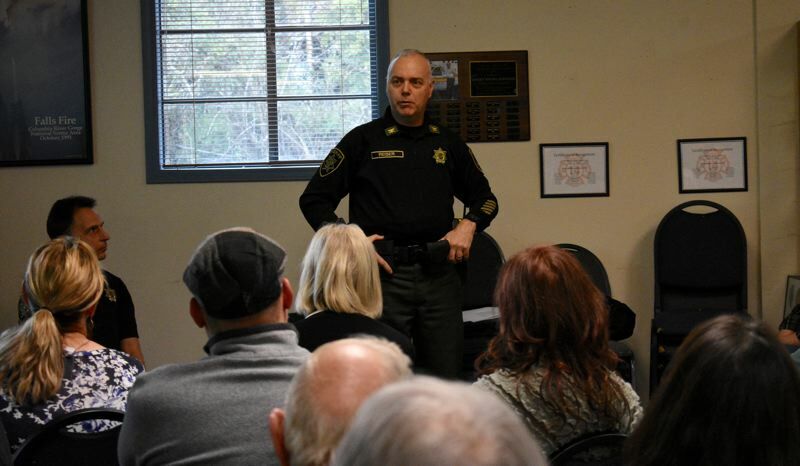 Because Graziano has made connections through his nearly two decades of service to Corbett, citizens are upset they could lose their beloved community resource officer. At the March meeting, the fire hall was packed with concerned citizens. 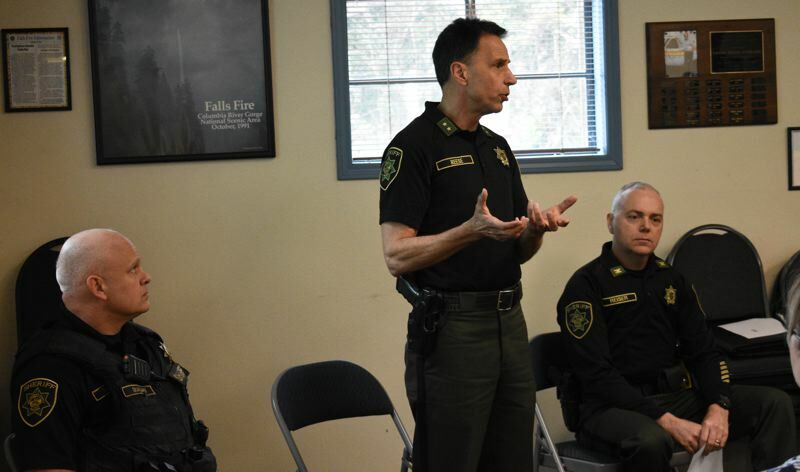 Corbett Fire Chief Dave Flood said he was impressed by the deputy's service to Corbett, noting an officer with Graziano's extensive resume could have left for a higher management role. "Rocky is far and away a stand-out police officer," Flood said. "The fact that he stayed in our community is a force multiplier." Graziano said he's made Corbett his home away from home. "As far as staying in Corbett, I like the community," he said. "I like the people. I've just gotten used to the environment. I just feel a really tight bond to people. If I go talk with them, and there's a problem, I feel bad to just walk away. This is where I feel most at home." At the community meeting, Corbett Realtor Michelle Smith said Graziano's presence enhances the community. "Literally, the number one reason people want to move into Corbett is the sense of community," Smith said, "and Rocky epitomizes this. We are extremely strong as a community." Northeast Multnomah County Community Association's Victoria Purvine said having an officer assigned to Corbett prevents citizens from taking the law into their own hands. "We are rural. You will see a little bit of more an armed presence out here if the position goes away," she said in a phone interview with The Outlook. "It's a lot safer if there's one person involved." Corbett resident Joe Coppoletta was irate the position was even considered for a cut. "Frankly, I think that the entire situation is ludicrous," Coppoletta said in an email to The Outlook. "Since, in general, the population of Portland is moving east, and every summer we see more and more people coming out to the Gorge, more homeless, more littering, and more crime, and with the sheriff's office move to Troutdale, I naively believed that they would be increasing the police presence in Corbett; not cutting it!" 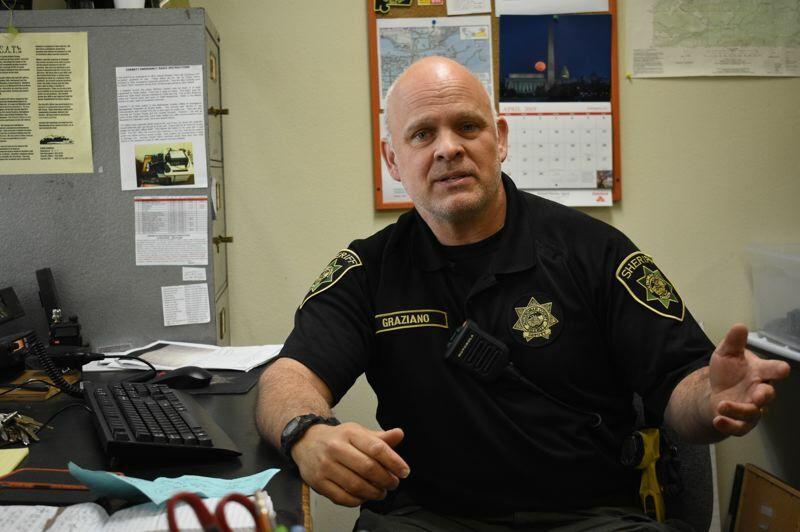 MCSO absorbed Troutdale policing operations in July 2015, and now staffs an office in Troutdale. Coppoletta said Corbett residents have experienced more crime this year. Recently, trash has been dumped by the river and homeless individuals have camped out along side the river. "And all of this is happening while we have a deputy on staff," Coppoletta said. "Can you imagine the chaos once criminals find out that we have no one here to protect us." 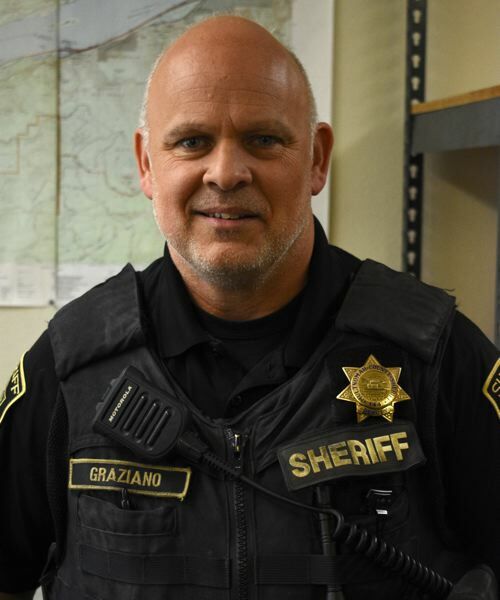 Graziano is one of two deputies to be assigned exclusively to the Gorge. 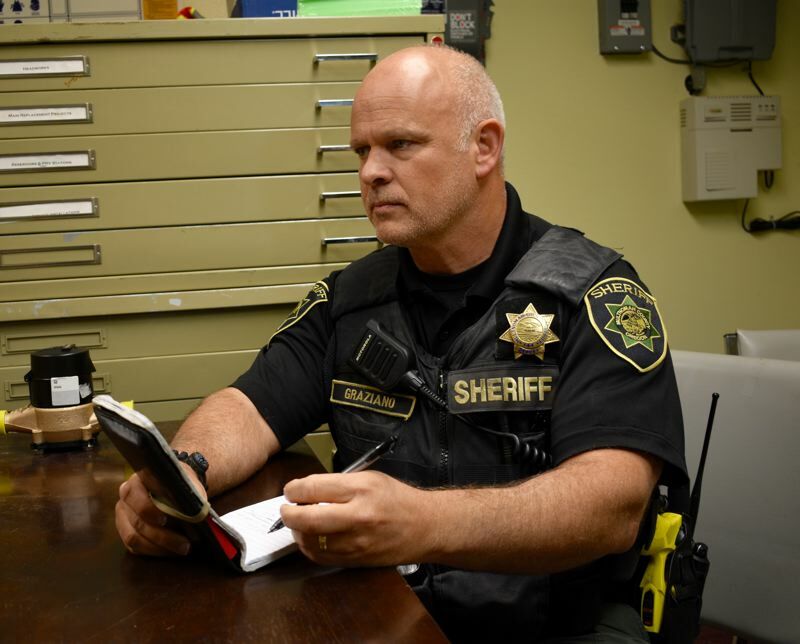 The majority of MCSO patrol cars remain west of the Sandy River. Corbett's coverage area stretches east to the Hood River County border and south to the Clackamas County line. 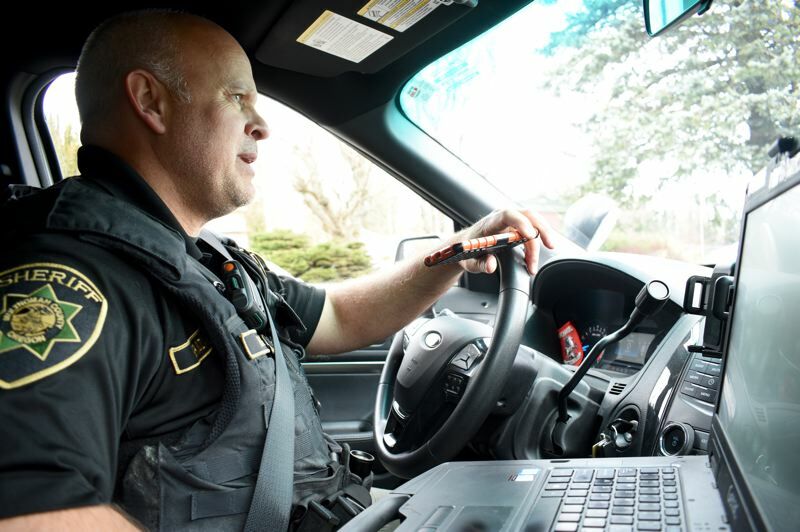 The only other officer assigned specifically to Corbett is the School Resource officer. "This entire area, that's it," Graziano said. 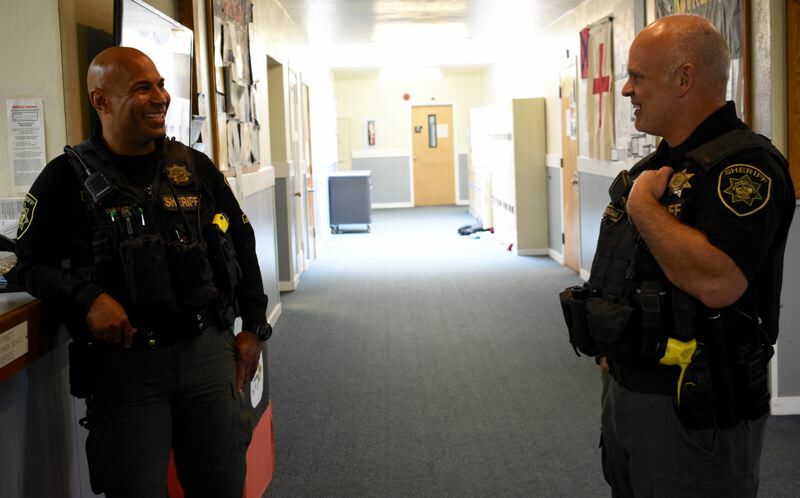 "We can have an army of officers show up here if there's a school shooting or a really big incident — but for a very quick response time, you can see it's just us two." Multnomah County Commissioner Lori Stegmann, whose district includes Corbett, attended the sheriff's March meeting and said the community feedback about upcoming budget cuts is imperative. Stegmann noted there is "no good place to cut," adding Corbett citizens made an solid argument that it may be unwise to cut a law enforcement position whose presence could prevent crime. She said maybe there's a creative solution to fund the position such as using tourism tax revenue. The Columbia River Gorge attracts approximately 3 million tourists each year. For perspective, in 2016, tourists spent $386 million in the Mount Hood and Columbia River Gorge area, according to a 2017-19 strategic draft plan from Travel Oregon. Chair Kafoury will release Multnomah County's proposed budget on April 25. The official budget will be voted on for final approval on May 30. The Board of County Commissioners meets on Thursdays in the Multnomah Building at 501 S.E. Hawthorne Blvd., in Portland. Reese and Stegmann both encourage Corbett residents to attend county meetings, and speak with their representatives. Stegmann will attend another listening session from 6-7:30 p.m. on Wednesday, April 17, at the Corbett Fire Hall, 36930 E. Historic Columbia River Highway. "You're my constituents," Stegmann said. "Your input matters. These are about your desires. The chair is crafting her budget as we speak. It's time to have your voice heard."